From Under A Rock: Them! 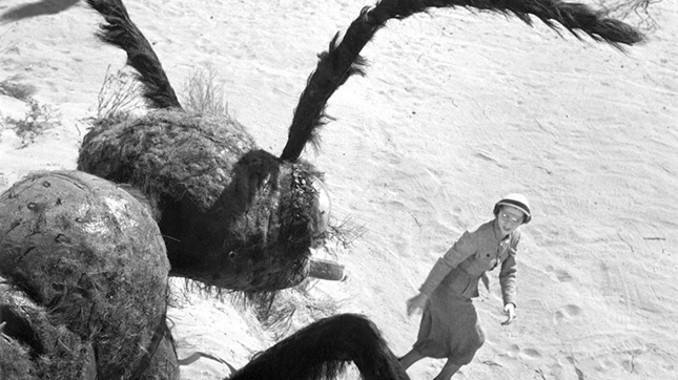 So hey, who says Halloween can’t be about giant radioactive ants? They’re still monsters! Last week Michael chose Day of the Dead. 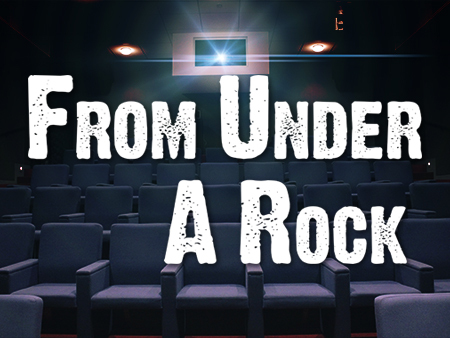 This week Aaron takes Michael out from under the proverbial rock to show him Them!. Aaron Hubbard: October has always been horror month by default for us (this is our third one), but it’s a genre I only really got into because of Michael’s suggestions. I try to keep my picks in areas unique to my tastes. Hence, a 1950’s sci-fi monster movie. Michael Ornelas: I’ve been more interested lately in diving back to horror’s origins so I can see how it’s all done and how it’s progressed, so this was insightful in that regard, for sure. Aaron: So I haven’t seen this film in about ten years, and the amount of films I’ve consumed in that time frame is staggering. That can change my frame of reference and affect how I view a particular film. What captured my attention here most was the date of release and how it compares to a more notable 1954 film about a giant monster brought on by the nuclear age; Godzilla. And what struck me is how the American film is very speculative about the potential dangers of its allegorical nukes and wants to stop the potential danger before it happens. The Japanese film is about an unstoppable monster’s attack and trying to cope with that. Michael: Which…of course that’s the contrast between the two cultures because that’s what happened to them in real life. The United States hasn’t had a nuke dropped on it by another country, so it is all speculative on our part. We have the luxury of asking questions without really coping. Godzilla was in the aftermath of some very real pain and during a period of adjustment. If we’re comparing the two, I’d prefer what Godzilla brings to the table, but that’s not to say Them! didn’t pose intriguing and necessary questions. Aaron: Gojira is also a superior film in general, a certified classic. But the compare and contrast between the two was really fun for me. And you hit the nail on the head with why they are different. Michael: I’m a big fan of the idea of the film, and the many films that have followed in its footsteps: oversized threat to humanity means we all have to fight it together. Some will die along the way, but humanity will prevail. The problem here is that I didn’t really invest in any of the humans, and had a hard time really getting into the film as a result. 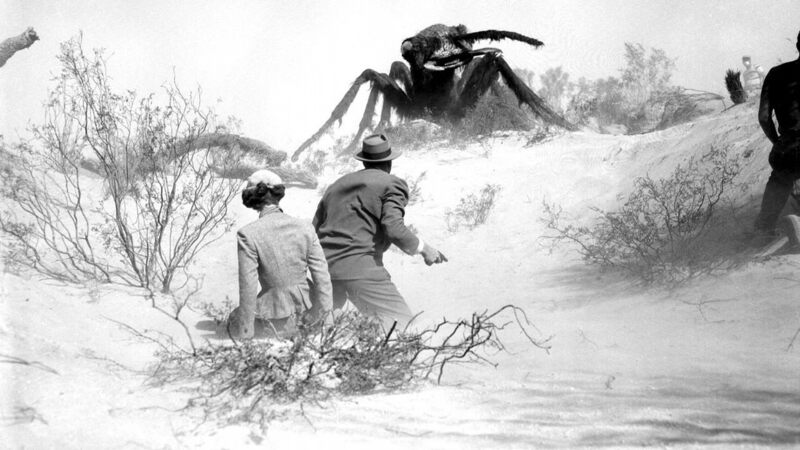 I thought the ant effects looked good for 1954, and the set pieces were great, but without characters I could sink my teeth into, this movie didn’t land with me like I’d hoped. Aaron: I can understand and respect that opinion. A lot of genre films in this era put a lot more effort into the big gimmick, relying on it to sell the movie. Which, if we’re being fair, isn’t all that different from most genre films today; I highly doubt anyone is going to watch Geostorm for the characters. But it certainly kept Them! from really connecting with me apart from being a curiosity. Michael: I remember while watching it, we both agreed that the scientist was interesting, but it sadly wasn’t enough to really motivate my attention. Aaron: What has always stuck with me about Them! is that it is a film with a sympathetic menace. Perhaps it is just me, but I have always felt that the last shot is not meant to be triumphant; men are torching mostly helpless ant queens before they can spread to populate the earth. It’s necessary to insure human survival. But the ants are only doing what is in their nature, and it is only because of humanity’s actions that they pose a threat. Can we really be angry at these animals for being animals? Michael: It was their survival vs. ours and as human viewers, we are likely going to side with the humans no matter what. It’s always an interesting conflict because you’re absolutely right: they did nothing wrong. The movie got most of its mileage by seeing the ways their attacks took their effects on humans, and since they were disturbing, we’re inclined to “villainize” them, but at the end of the day, it’s just the order of the animal kingdom. Aaron: I think the movie subtly gets across this idea of how nuclear weapons and even just the testing of them can have lasting dramatic effects on the planet and its creatures. We may be harming them… but nature may well come back to haunt us. This idea is a dime a dozen these days but I can’t imagine it being a hot button issue in 1954. Michael: I really wanted to love this movie, but it lacked characters that I could sink my teeth into. The themes and ideas were good as were the effects for the time. I don’t think it’s bad by any means, but by missing the mark with me, I can’t score it too high. Aaron: Them! is a good movie with fun effects, solid acting and a good story. But I think the themes and ideas resonate more strongly than the craftsmanship. Aaron: Eh, it’s okay. I didn’t love it either. 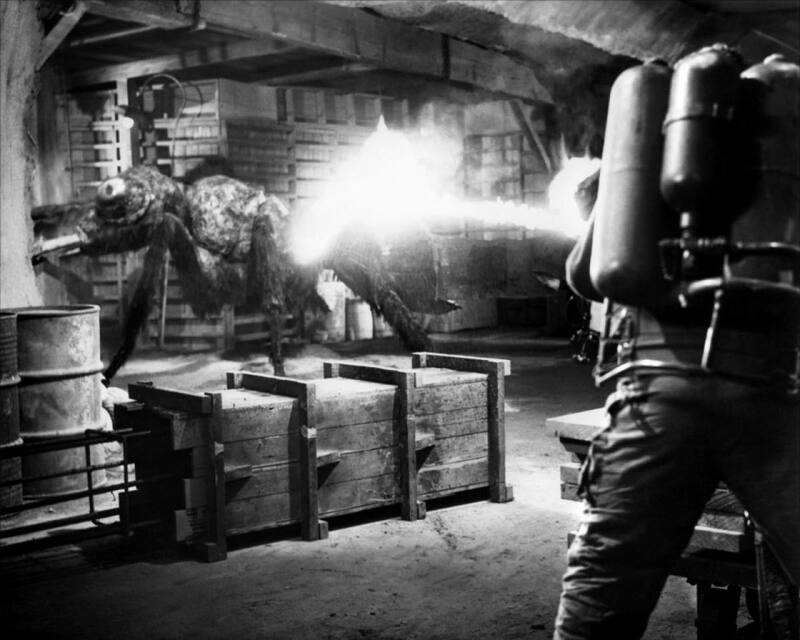 What is your favorite radioactive monster film? Michael: Next week’s pick is a great comedy that has been somewhat tarnished by people quoting it poorly. Aaron: …I hope you know that I am only letting you do this to me because we’re friends. Michael: Get that bias out of here. It’s a brilliant movie with many relevant and resonant social flaws of America on display. What’s your opinion about Borat? Great social satire or dumb comedy? 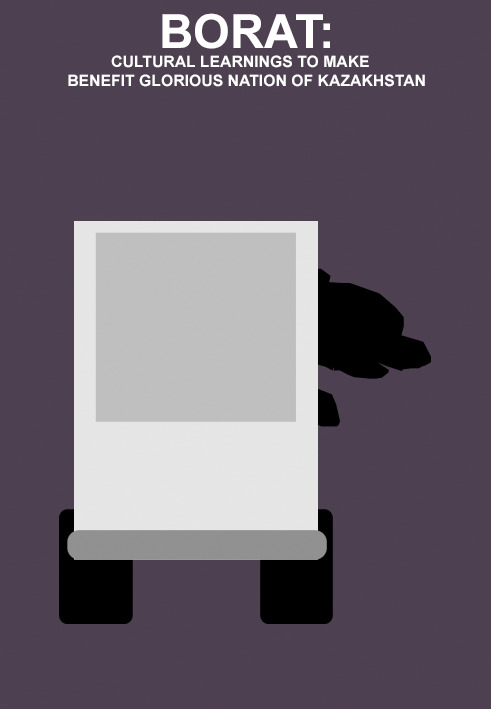 Mission: Impossible, They Live, Marvel’s Daredevil, The Silence of the Lambs, 12 Angry Men, The Usual Suspects, The Boondock Saints, Ferris Bueller’s Day Off, The Iron Giant, Fargo, American Psycho, 28 Days Later, Frankenstein, Crank, The Godfather: Part II, American Beauty, Rocky, Alien, Spaceballs, Star Wars: Clone Wars, The Muppets Christmas Carol, Reservoir Dogs, Superman: The Movie, Lethal Weapon, Double Indemnity, Groundhog Day, The Departed, Breaking Bad, Shane, Glengarry Glen Ross, Blue Ruin, Office Space, The Batman Superman Movie: World’s Finest, Drive, Memoirs of a Geisha, Let the Right One In, Apocalypse Now, Aliens, The Incredible Hulk, A Clockwork Orange, Chicago, Seven, Teenage Mutant Ninja Turtles II: The Secret of the Ooze, The Room, Chinatown, Jaws, Unforgiven, RoboCop, The Legend of Korra – Book One: Air, Ghostbusters, Spider-Man 2, Prometheus, Scarface, Gattaca, Monty Python & The Holy Grail, Tucker & Dale vs. Evil, Equilibrium, City of God, The Graduate, Face/Off, Snowpiercer, The Exorcist, Hellboy, Village of the Damned, A Girl Walks Home Alone at Night, Idiocracy, Indiana Jones and the Last Crusade, The Fly (1986), Under the Skin, Die Hard, Dredd, Star Wars Holiday Special, A Christmas Story, Snakes on a Plane, The Big Lebowski, Bulworth, Raging Bull, Thank You for Smoking, John Wick, Mulholland Drive, The Karate Kid, Lucky Number Slevin, The Searchers, Black Dynamite, Labyrinth, Rick & Morty, 2001: A Space Odyssey, The Abyss, Seven Samurai, Bio-Dome, Memento, L.A. Confidential, Tangled, T2: Judgment Day, Wonder Woman, The Way Way Back, Rebel Without a Cause, Predator, Before Sunrise, Evil Dead II, Planet of the Apes, Wet Hot American Summer, Tombstone, The Core, American Graffiti, León: The Professional, Steel, Forgetting Sarah Marshall, Logan, Tusk, Ghost in the Shell, Twin Peaks, The Artist, The Thing, Little Shop of Horrors, Day of the Dead, Them! Check me out here to see my star ratings for over 900 films. Recent reviews include Dumbo, Only the Brave and The Wolf Man. Them! has some great special effects for the time, and has some interesting themes. In some ways it works as a companion piece to Japan's Gojira from the same year. We didn't especially love it but we'll give it a mild recommendation.